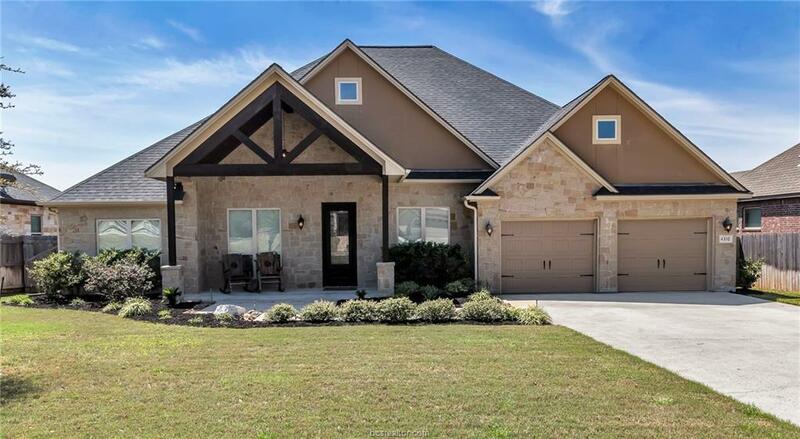 Take a look at this beautiful 4 bed/3 bath home in the Castlegate II subdivision! Walk into this home and you'll immediately notice the beautiful features including crown molding, wood floors, and modern color palette. The open living room features a floor to ceiling stone fireplace, built-ins, and large windows to let in natural light that overlooks the backyard. The gorgeous kitchen includes stone backsplash, stainless steel appliances, a pot filler for convenience, granite counters, eating bar, and breakfast area. The study features double doors that are perfect for added privacy when working/studying. The large master bedroom with raised ceilings includes a walk-in closet, and the roomy master bathroom boasts of his and her sinks, plenty of cabinets for storage, large shower, and a soaker tub for relaxing after a long day. The back covered patio complete with outdoor kitchen is ideal for family gatherings or entertaining! Call to schedule a showing today!